Prime Wound and Skin Spray by Promend -- 12 oz. For use on infected wounds, cuts and abrasions, sores and other common animal wounds. Veterinarian Developed and Recommended. For use on infected wounds, cuts and abrasions, sores and other common animal wounds. Prime Wound and Skin Spray is formulated based on extensive research and expertise from biomedical scientists and veterinarians using effective and safe ingredients including Kytex Technology -– a chitosan additive scientifically proven to support wound healing. The ingredients in their formula have antimicrobial, antifungal, and antibacterial properties. Developed for long-lasting contact, healing takes place quickly and safely with fewer applications. Liberally spray the affected areas 2-3 times a day. No rinsing of solution is necessary. If bandaging the wound site, apply solution liberally to bandaging at each dressing change. Faster healing occurs when wounds are clean and remain moist during the healing process. For animal use only. Not for use on humans. Keep out of reach of children. External use only. If irritation occurs, discontinue use and consult your veterinarian. 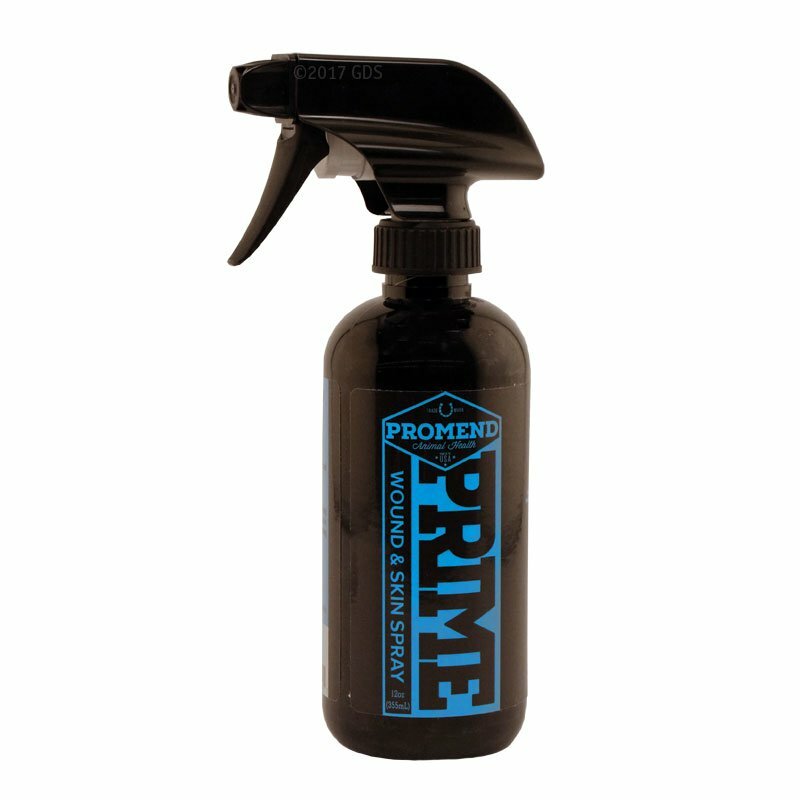 Prime Wound Hydrogel by Promend -- 12 oz.